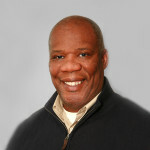 Guy-Marie Joseph is the President of ConnecTalk Consulting Services Inc., a company he launched in September 1989. ConnecTalk Consulting Service Inc. specializes in networking and cyber security. As the president of the company, his responsibilities include providing planning and development strategies for the company, as well as technical support and customer service. In 1984, Mr. Joseph earned his Bachelor’s degree in Educational Psychology from McGill University, and went on to earn a Masters degree in Educational Psychology focusing on AI in medicine in 1990. He and his current business partner created ConnecTalk Consulting Services Inc., in 1989 with a focus on networking (wired and wireless) and Cyber Security. Over the last 10 years they have focused on mobility and have created and launched their own mobility suite of software (VMAXSOR for service, task management, order and retail). In the next few years, Mr. Joseph hopes to take a step back from his professional life and move toward retirement I do not want to say that. He hopes to introduce AI to the cyber security field. He takes great pride in ConnecTalk Consulting Services Inc., and has been in business for almost twenty-nine years now. In his free time, he enjoys watching and playing sports reading. He is a member of a Haitian Association where he does community work. He is a member of the McGill soccer Hall of Fame. The International Society of Business Leaders Member, Guy-Marie Joseph, MA, can be found on the Society Directory, where he is looking forward to networking with you.